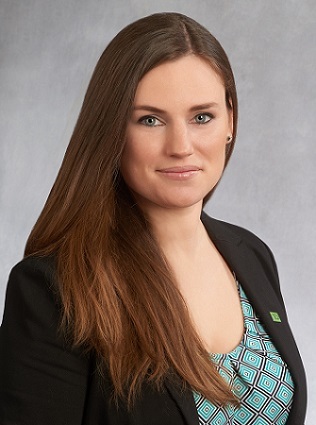 PISCATAWAY, N.J. (February 15, 2019) – TD Bank, America’s Most Convenient Bank®, has named Kerrin M. Yannotta as Vice President, Business Development Officer in SBA Commercial Lending. She is responsible for expanding TD Bank’s SBA loan production, including 7(a) and 504 loans to businesses seeking to purchase commercial real estate, Business Acquisitions, Machinery & Equipment and working capital, serving commercial clients in Union and Essex counties. Yannotta has eight years of experience in banking, lending and business development. She joined TD Bank in 2016 as a Business Development Associate based in Ramsey, N.J. Yannotta is a member of the Garden State Credit Associates. A Morristown, N.J., resident, Yannotta volunteers with the American Legion and supports Hope for Veterans. She is a 2010 graduate of Rutgers University.